If you like creamy peanut butter, savory peanuts and chunks of dark chocolate, then this is your cookie! There are just some things* you shouldn’t mess with since they are perfect already, and one of them is George’s Peanut Butter Chocolate Chunk cookie. 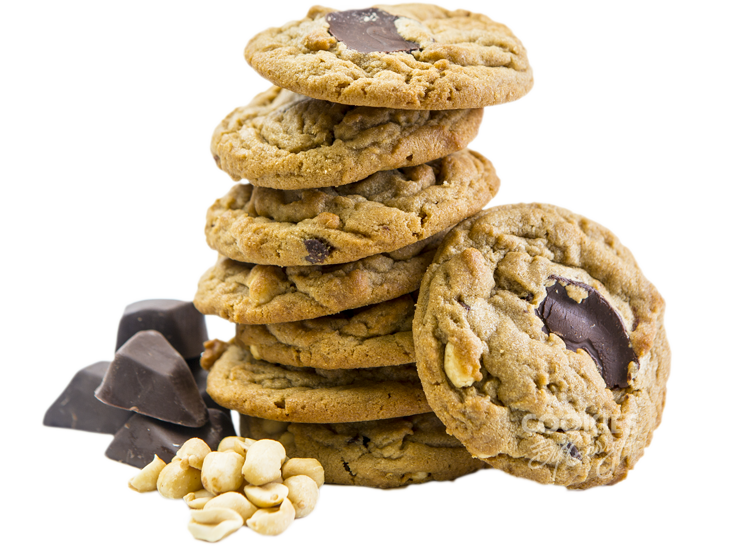 If you like creamy peanut butter and chunks of dark chocolate, then imagine them together in a George’s cookie. It’s enough to drive an elephant nuts! Brown sugar, flour, dark chocolate, peanut butter, margarine, eggs, peanuts, butter, cream, vanilla extract, baking powder, baking soda, salt.